According to new study, presented May 15th at the annual scientific meeting of the American Society of Hypertension, in San Francisco, the ancient practice of yoga can fight high blood pressure, or hypertension. 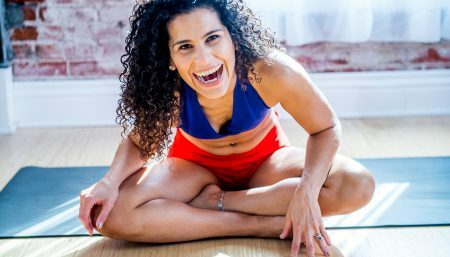 Led by Dr. Debbie Cohen of the University of Pennsylvania, researchers tracked 58 women and men, aged 38 to 62, for six months, and found that doing yoga two to three times a week was associated with an average drop in blood pressure readings from 133/80 to 130/77. 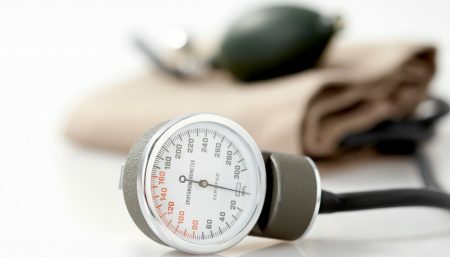 The blood flows through the body with certain pressure, but if the pressure is higher than the normal range then it is a disease, which is called High Blood Pressure or sometimes the blood pressure drops below the normal range, then it is called Low Blood Pressure. During any exercise the strain on muscles increases, the requirement for blood and oxygen increases but in Yoga asanas the requirement goes down as there are no strains and every muscle is relaxed, the requirement for blood and oxygen goes down. This also reduces the strain on mind, the mind also becomes stable and focused. Also because of twists and stretched postures, the functioning of endocrine glands, digestive organs, heart and other organs improves. Lifestyle management, such as Yoga lifestyle, offers best help in treating and preventing Hypertension. 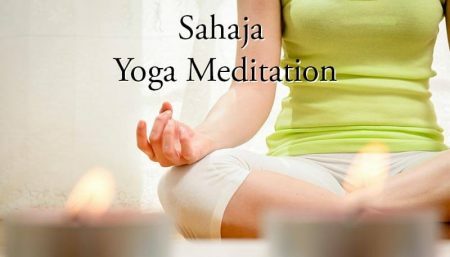 Yoga practice unites the mind and body activities, it also offers stress management techniques which proved essential in managing Hypertension. Sitting on the floor and bend your knees. Clasp your arms around them and press them to your chest to make the spine erect. Now, release your arms and cross your legs, letting your knees drop down toward the floor. As you wait for the inner cue, do not sag into your shoulders . Instead, create a line of energy through each arm by pressing downward into your hands and lifting upward out of your shoulders. Go back and forth like this several times to make sure you understand the movement. As you exhale, sag into your shoulders and do the incorrect action; as you inhale, lengthen the arms, lift out of the shoulders and do the correct action. Then sit to the right of your feet. Stretch your arms out to the sides at shoulder level, and twist around to the left. Now bring the right arm down on the outside of the left knee and hold the left foot in the right hand, placing your left hand on the floor behind you. As you exhale, twist as far as possible to the left. Look over the left shoulder. Pranayama is control of breath, breathing & blood circulation system, heart have close relation between them. In Pranayama the breathing is controlled and the rate is reduced, which reduces the strain on heart and also the rate. This increases the stability of mind and mental activities are also controlled. In various Pranayama techniques Ujjayi Pranayama balances the Pranic flow of energy in the body. Ujjayi also affects carotid sinus, which help reduce BP. Nadishodhan Pranayama controls the Pranic flow. But people suffering from BP should not practice Kumbhaka (retention of breath) but only inhalation and exhalation. Meditation is study of concentration. Especially for High BP patients, Omkar chanting for 15 minutes everyday shows miraculous results.